I’m very pleased to finally put on display the new project for Ontario Power Generation. 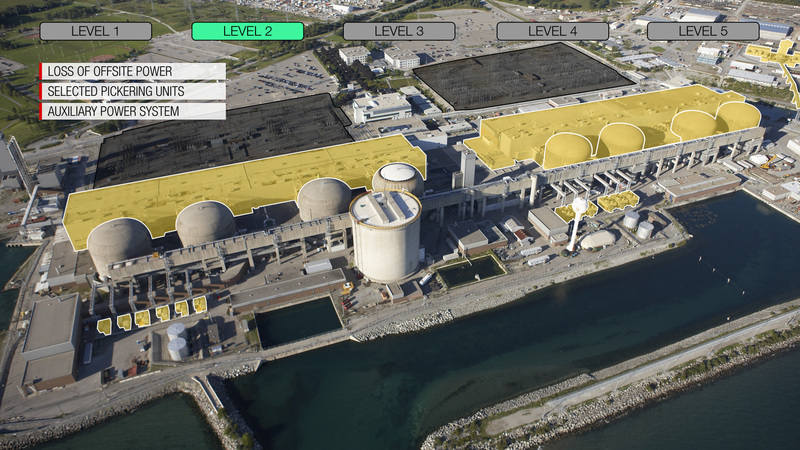 This lengthy 9-minute video goes in-depth to show Pickering nuclear’s many levels of defense and those that are currently being implemented. There was an enormous amount of information to learn in order to understand how these barriers would be best visualized but the result is a beautiful, easy-to-understand video using elegant motion graphics and live action to better illustrate these features.